Roughly 80% of what children learn in school is presented to them visually. Most children with vision problems do not complain about poor vision because they have no way of knowing their vision is not normal. To them, it is “normal” because it is the only vision they have known. Good vision is important for academic success and social development. 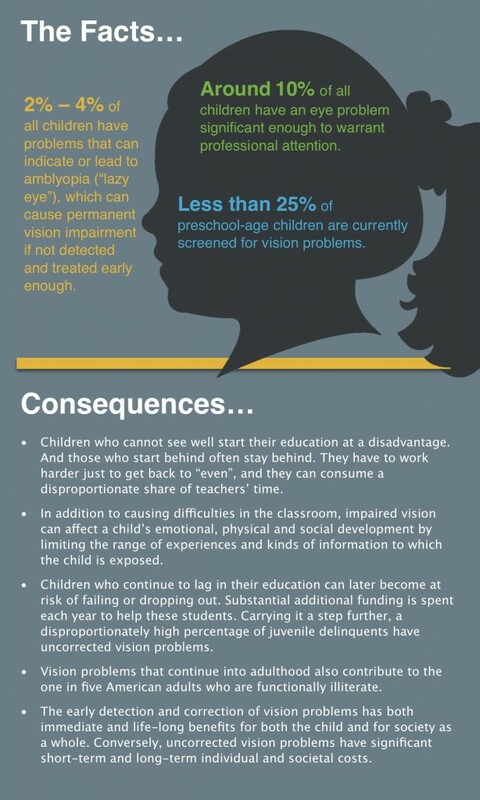 Undetected early vision problems can have long-lasting consequences, with links to social and emotional problems, academic problems leading to at-risk students and juvenile delinquency, and adult literacy problems.